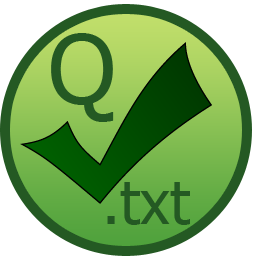 QTodoTxt is my side project for one year now and I must say it grows quite well ! It provides a cross-platform UI client for todo.txt files (see todo.txt for more). I released v1.2.0 two weeks ago and for the first time people contributed code to that release. So thank you to chaghi, mgushee and CalumJEadie. A new Mac Os X package but it seems that this package works only on one computer in the world, mine… So if you know how to make a clean Mac Os X package any help is welcome ! That version was downloaded more than 300 times in 2 weeks ! Almost as many times as an album of Justin Bieber (yes I just put Justin Bieber in a post about a Python todolist app :). So if you have more ideas for a v1.3.0, feel free to drop a ticket in GitHub.